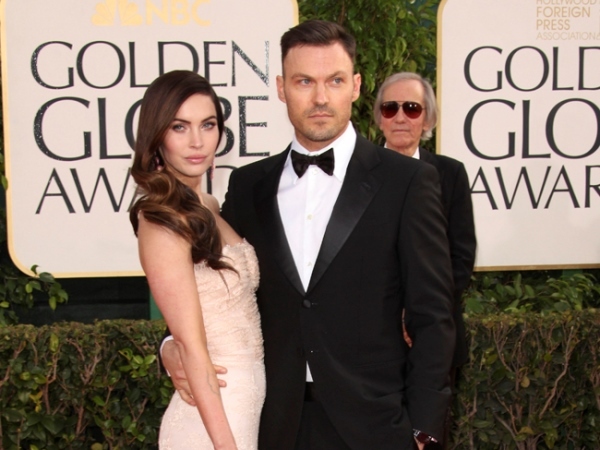 Megan Fox and Brian Austin Green have named their newborn son Bodhi Ransom Green. The couple, who also have two-year-old son Noah Shannon Green, welcomed their second child into the world on February 12. The tot's birth certificate, obtained by gossip website TMZ.com, shows he was born at 8:05 pm at Cedars-Sinai Medical Centre in West Hollywood. Anger Management star Brian (40) also has an 11-year-old son, Kassius Lijah Marcil-Green, with his ex-girlfriend Vanessa Marcil, who also once starred alongside him on Beverly Hills 90210. The Teenage Mutant Ninja Turtles actress (27) previously admitted that she found both of her pregnancies tough in the beginning. She said: "I've had rough first trimesters. But once you get into the second, it's fine after that." Megan has also told how being a mother to Noah helped take her mind off the pregnancy, saying: "I don't have time to think about [what's different this time], I have a one-year-old running around. And then when you're working like 16 hours a day, there's no time for you at all." The brunette beauty tied the knot with Brian in 2010 after six years of dating.